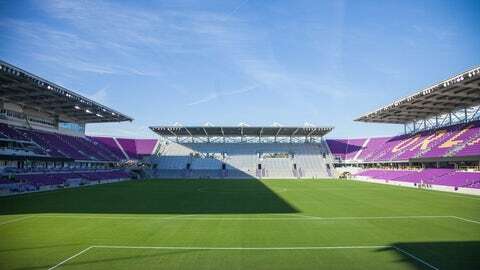 Orlando City's brand-new soccer-specific stadium has officially opened for the 2017 season and, well, it looks just as gorgeous as the renderings of the stadium did. Here's a look at the final product. 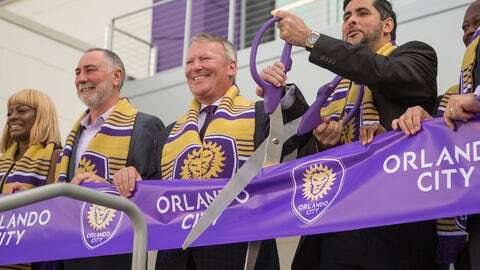 On Friday, the club held a ribbon-cutting ceremony. 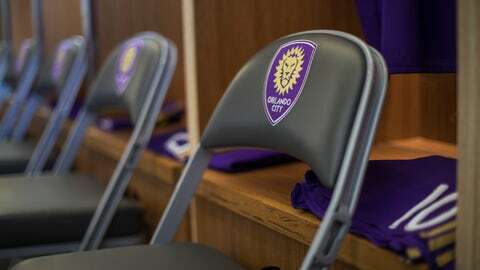 As you can see, the club features signage for both Orlando City and the Orlando Pride prominently. 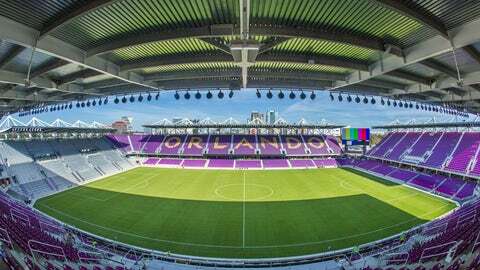 The stadium seats 25,500 and cost $155 million of private funds to build. 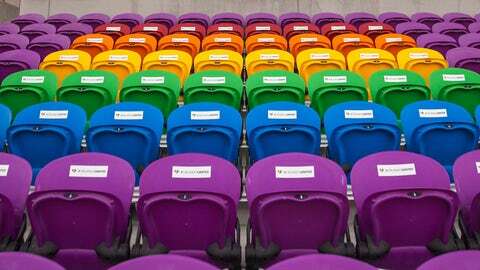 The stadium includes a section of seats that honor the 49 victims of the 2016 shooting at Pulse, a gay night club in the Orlando area. 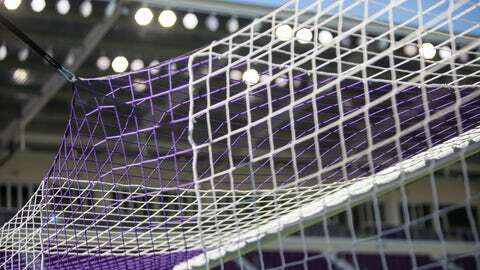 The nets in goal will be a combination of white and purple. 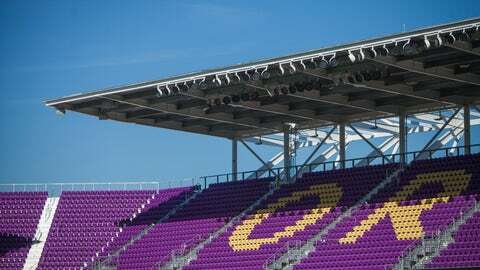 The gold "Orlando" adds a splash of the club's secondary color to the predominantly purple stadium. That sign says, "Please stay off the grass." Yes, the stadium features natural grass. 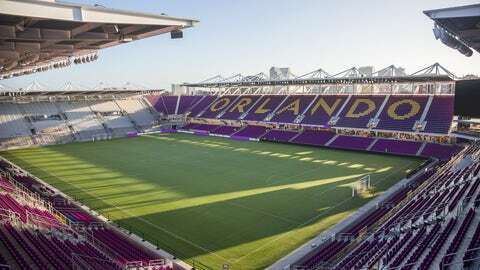 The stadium is located a short walk from Camping World Stadium, formerly known as the Citrus Bowl, where the club played while their new stadium was being built. 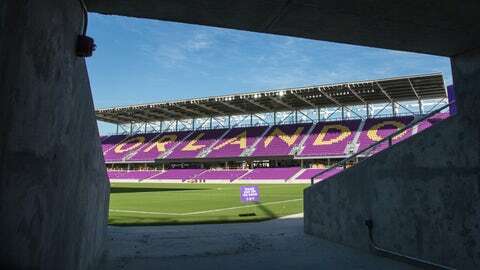 The grey section along the endline is a "safe standing" section for supporters where there aren't seats so fans can stand and cheer throughout the match. 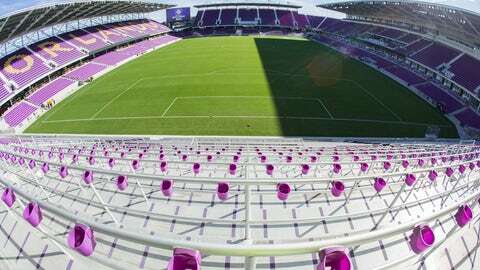 Cup holders in the safe standing section was something fans asked for. 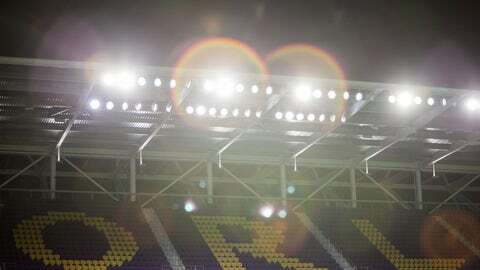 Night games should look good. 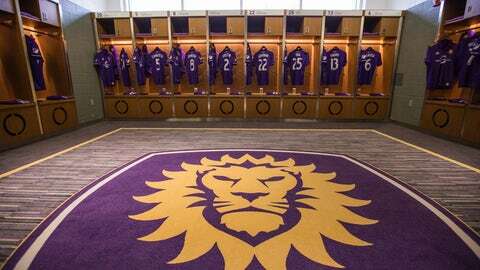 Although the stadium is still getting some finishing touches ahead of the MLS season, the locker room is ready. Kaka will again be leading the way. 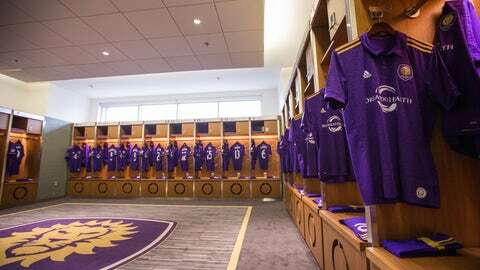 The Lions will wear a new primary kit this season as well. 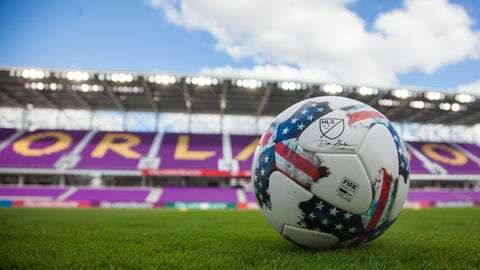 The Lions host their first-ever match in the stadium on March 5 vs. New York City FC, the club's biggest rival to date since they both entered MLS as expansion teams at the same time.